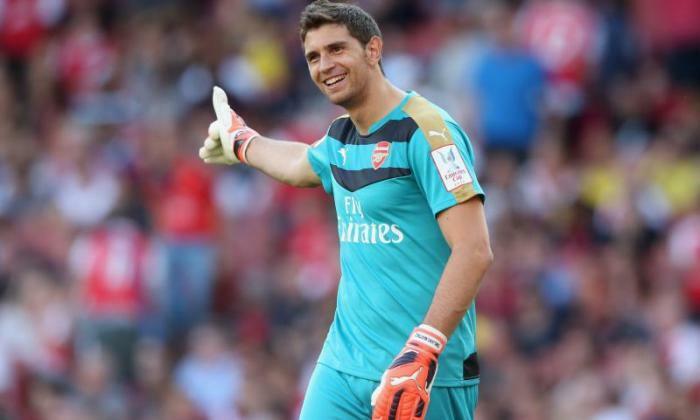 North London side Arsenal could be set to lose their goalkeeper Emiliano Martinez as he is being wanted by French Logue 1 side Rennes ahead of the winter transfer window which reopens in coming weeks. Reports according to French Football News claim that two clubs are already in talks with the layer which means he might be having his last days at the Emirates Stadium before the new year. Emiliano Martinez has not been regular in the Unai Emery team as he has been left to the bench with the arrival of Bernd Leno from Bayer Leverkusen and the already existence of former Chelsea player Petr Cech. The goalkeeper could be ready for a new challenge with French side ready to hand him one knowing that they are on the verge of losing their own keeper Tomas Koubek when the transfer window reopens. There is no doubt that the North London side will sanction a move for the 26-year-old as he has not made any impact in the club nor given his seniors a good fight. However, the Gunners have their eyes on a Champions League football next season which means a top four finish for the North London side is not negotiable. Arsenal boss Unai Emery has been hinted that he could have an increase in the transfer budget that was initially promised him if he is able to ensure qualification to the Champions League in the coming season. The Gunners boss was initially told he would have £40 million to engage in the summer transfer window as the club have got limited funds. But with the hope of qualification, there would be a need to boost the squad to be able to face the challenge ahead for European competition and the Spanish boss has been told he would now have £70 million to spend. The North London outfit are currently in the race for a top-four finish against Man United, Chelsea and Tottenham but there are hopes that they can scale through if all remaining games until the end of the season can be won. Arsenal are lucky to have all opponents outside of the top six teams which makes it easier. However, there are expectations that they will be without Wales international midfielder Aaron Ramsey in the coming season because he has already agreed on a deal with Italian Serie A Champions Juventus while it is unsure if England international Danny Welbeck would be trusted to remain at the club owing to the injury he sustained. Latest report hints that North London outfit Arsenal are ready to swoop for Hoffenheim midfielder Kerem Demirbay ahead of the coming summer transfer window. The move for Kerem Demirbay is a bid to have Wales international midfielder Aaron Ramsey replaced ahead of the coming season. The former Cardiff City midfielder has already agreed to join Italian Serie A outfit Juventus on a four-year deal after refusing to extend his stay with the North Londoners. Kerem Demirbay has been impressive since he joined the German Bundesliga side and has been tipped to serve as a perfect replacement for the Juventus-bound star player. The midfielder has so far scored four goals and provided 8 assists in 28 games to give the clue of the quality he has got to offer the Arsenal team. 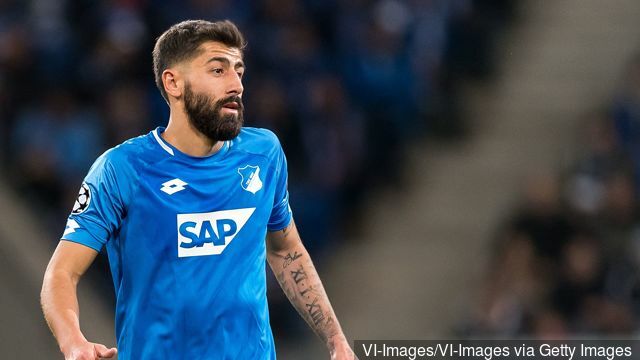 However, Kerem Demirbay is expected to make a decision on the move as he would be the one to decide his future with the German Bundesliga outfit. Meanwhile, the Gunners team are expected to buy one more defender as manager Unai Emery hopes to strengthen ahead of the coming season. The Spanish manager has been charged with a title win in the coming season, especially if the team is able to secure qualification to the Premier League in the coming season. 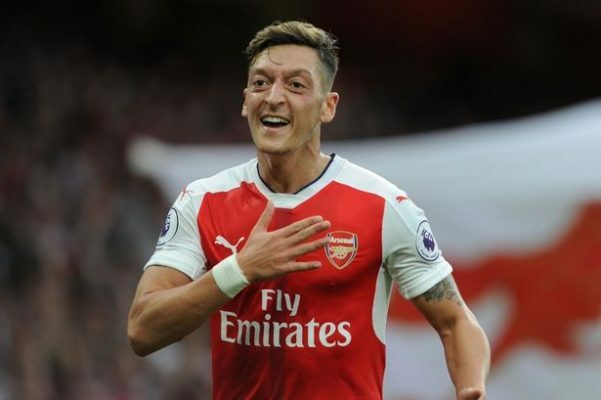 North London outfit Arsenal boss Unai Emery has been given reasons why he must play German international Mesut Ozil in their Europa League second leg clash against Napoli later on Thursday. The Gunners team had secured a 2-0 advantage in the first leg at the Emirates Stadium but there are suggestions that they will have a real test when they play at Naples because Napoli will be waiting to give them a real test. Paul Merson has therefore warned manager Unai Emery that the World Cup winner must be in the team, especially ahead of Armenian midfielder Henrikh Mkhitaryan because he is still a match winner. Mesut Ozil was earlier criticised for poor performance as he was also left out of the team for a couple of games but Paul Merson states that he is still a better pick than Henrikh Mkhitaryan. He stressed that the former Real Madrid star has got the ability to u pick the Napoli defence and that is what is needed because of the need for the Gunners to score a goal in the game. Paul Merson, therefore, tipped Arsenal to secure a win in the game, adding that they will not be good enough for the semi-finals if they can not take advantage of the 2 goals lead. It has been reported that North London outfit Arsenal are keen on the signature of Brazilian outfit Bahia star Eric dos Santos Rodriques, known as Ramires ahead of the coming summer transfer window. It is reported by The Mirror that Ramires has been on the radar of the North London outfit for a while but they are now ready to land him this summer window. The interest in the star player was made public by Brazilian outfit Bahia executive director Diego Cerri who described him as a young boy of great potential with the quality that will make him the best in his time. Is this the time for Ruben Loftus-Cheek to be a regular player for Chelsea? He confessed that talks have already begun with other clubs for his signature including Brazilian side Flamengo and other top European sides that have been storming the country to scout for him. However, the Gunners are hoping to invest in young players as they are known as a team that gives opportunities to young players. Unai Emery is reported to be satisfied with the report from the scouts on Ramires and has urged the club to make a move for his signature. Meanwhile, the Gunners team have got £40 million to spend in the summer transfer window. Two Premier League teams Arsenal and Everton have been tipped to go head-to-head for the signature of Ajax star Hakim Ziyech as soon as the summer transfer window is reopened. Hakim Ziyech has been impressive for Ajax and he was a major part of the team that scaled through o the semi-finals of the Champions League on Tuesday night against Italian Serie A outfit Juventus. This season has been one of the best for Hakim Ziyech as he has scored about 19 goals and provided 20 assists which makes him one of the best in the league and a perfect fit for the English Premier League. However, the North London outfit are tipped to win the race ahead of the Merseyside outfit especially now that they stand the chance of securing qualification to the Champions League next season. The Gunners outfit will also welcome Hakim Ziyech as a direct replacement for Wales international Aaron Ramsey who is heading o the Italian Serie A outfit Juventus after agreeing on a 4-year deal with them. Hakim Ziyech has been tipped to be given out for £43 million which could also increase if he is able to deliver the Champions League with the Ajax team later this season. Latest report hints that North London outfit Arsenal are back in the race for German Bundesliga outfit Maiz star Jean-Philippe Gbamin ahead of the coming summer transfer window. Jean-Philippe Gbamin has stood out in the German Bundesliga outfit and with Mainz with impressive performances all-through and that is the reason why he has been able to win the attention from top European sides. The North London outfit Arsenal are reported to have been in pursuit of the star player for the past 12 months but they have not succeeded in snapping him up but there are suggestions that this could be the time to win over his signature. Jean-Philippe Gbamin is tipped to be the new Yaya Toure in the football space because of his style and quality of play but there are suggestions that he is being underrated in the German Bundesliga and will also push for a move. It is claimed that the Gunners are ready to hand him more playing time and hand him the needed exposure to be a world class player should an agreement be reached. However, Jean-Philippe Gbamin will be a perfect replacement for Wales international midfielder Aaron Ramsey who is confirmed to leave the Emirates Stadium at the end of the season. Former Arsenal defender Per Mertesacker has backed the Gunners for the Europa League title ahead of other contenders like Napoli and West London giants Chelsea. Ex-German international centre back Mertesacker talked up North London giants Arsenal for the Europa League title during an exclusive interview with popular media portal Goal. 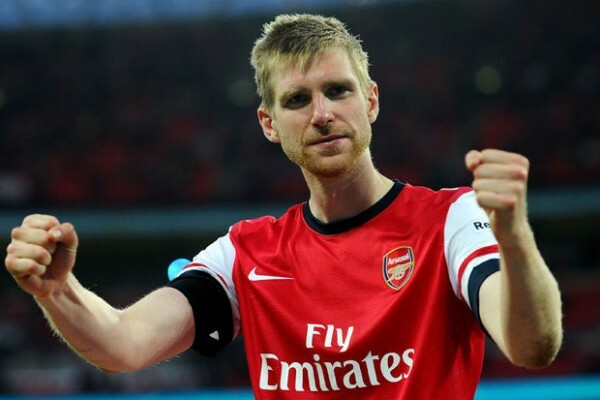 Per Mertesacker retired from football at Arsenal at the end of last season and he’s currently the Academy manager at the North London outfit. Arsenal are the third favourites for the Europa League title behind Napoli and London rivals Chelsea and they will have to overcome Italian team Napoli if they are to continue their bid to win the Europa League. An Aaron Ramsey strike and a Kalidou Koulibaly own goal gave the Gunners a 2-0 lead at home to Napoli in their first leg meeting last week and both teams will meet again on Thursday night in what’s the second leg of their last eight tie in the Europa League. Ahead of the game, Per Mertersacker backed Arsenal to secure a result at the San Paolo though he was quick to point out that things can quickly go wrong for the Gunners despite the fact that they have a two-goal lead ahead of the game. Arsenal will potentially face either Valencia or Villarreal in the semifinals though its likely to be Los Che who have a 3-1 lead against their rivals from the first leg away from home. North Londo outfit Arsenal have received a major boost after learning that their major defensive target Samuel Umtiti will be available in the coming summer transfer window. Samuel Umtiti has been on the radar of a number of teams including Man United who are his long-term suitors and Juventus but the Gunnera team are tipped to be favourites as they are reported to have established contact with the player’s camp. Samuel Umtiti is no longer favoured in the Spanish La Liga outfit Barcelona and has been told that he is no longer needed at the club. This remains a blessing to the Gunners as they have been having it very bad in their defence and they are the biggest side in the English Premier League to have conceded the highest number of goals as a result of their shaky defence. This, therefore, means good news to the team knowing that he would be available in the summer transfer window. However, Barcelona are reported to have identified Italian Serie A outfit AS Roma defender Kostas Manolas as a replacement for Samuel Umtiti. Suggestions are that the World Cup winner will have the choice to make but his nod for the Gunners team will be largely depended on the Arsenal’s qualification to the Champions League or not. The North London outfit Arsenal has since lost out of the English Premier League title and they are no longer in any of the Cup competitions including the FA Cup and the Carabao Cup but that is not to say that they will go trophyless, according to former defender Per Mertesacker. Arsenal are currently in the quarter-finals of the Europa League and have already seen a 2-0 defeat in their home against Italian Serie A outfit Napoli with the second leg expected to go down later on Thursday night. Per Mertesacker said the Unai Emery team have got all it takes to make it to the finals and lift the trophy to make a perfect season because of the quality in the team. According to the former player, Arsenal were lucky to have avoided a goal in the first leg as that will be a major boost ahead of the second leg fixtures. 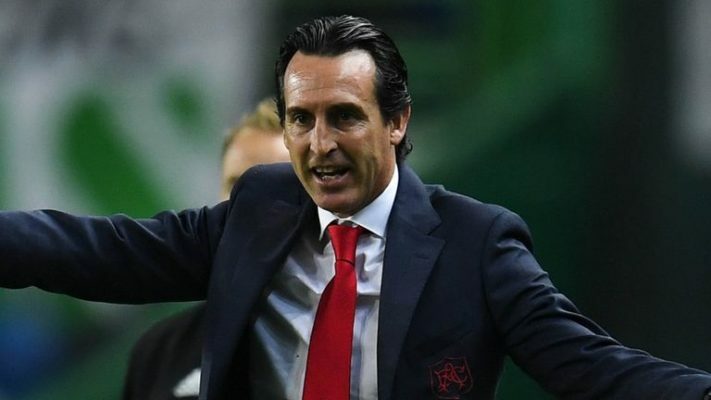 He admitted that there could be a difficult atmosphere in Naples because of the Napoli fans and their stadium as that could play a role in the game but he is confident that the Unai Emery team have got all it takes to pass through. Per Mertesacker noted that the Arsenal team have got the experience and have been pulling through, especially in their bid to secure a top-four finish which as they have proved in all of these to be up to the task. West London giants Chelsea are reportedly the latest European club to show an interest in Ajax Amsterdam winger David Neres. According to widespread reports, David Neres is the subject of transfer speculation with several Premier League clubs keen on his signature. Major Premier League sides like Arsenal, Chelsea and Manchester United have been mentioned as a possible transfer destination for the young Brazilian attacker. Ajax Amsterdam are reluctant to lose the services of one of their best players but the Dutch Eredivisie giants could do a deal for the player for at least €35m according to Italian media portal Calciomercato. It was revealed that several scouts are expected to be in attendance to run the rule over David Neres when he plays for Ajax Amsterdam against Italian champions Juventus in the Champions League. David Neres, 21, is expected to be in the Ajax Amsterdam team for the second leg clash away at Juventus. He scored the sole goal for Ajax in the 1-1 home draw with Juventus in the first leg. Portuguese superstar Cristiano Ronaldo gave Juventus the lead on the stroke of halftime before David Neres scored the equaliser few seconds into the second half. David Neres also scored against Real Madrid in the previous round as he helped Ajax knock out the holders via a 5-3 aggregate win.